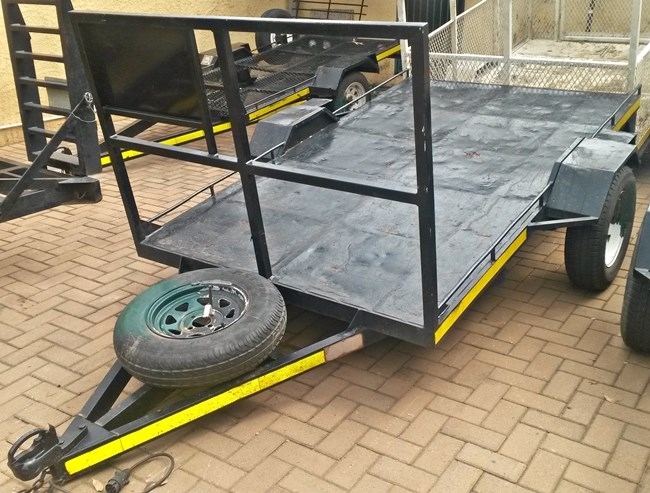 We at Trail Acc Trailer Manufacturers & Sales build our own flat deck trailers according to both SABS specifications and the standards of the National Road Traffic Act. Our flat deck trailer with a carrying capacity of 750kg and a total loading length of 2,4m is suitable to transport a wide variety of goods like motorcycles, quad bikes, furniture, office goods, golf carts, single items etc. Additional features: Flat deck single axle with no brakes. Tow vehicle specifications: Cars, bakkies or 4x4’s with a minimum engine size of 2.0ℓ or larger. To buy your own flat deck trailer, contact us today for best prices. Our well trained sales staff will assist you.